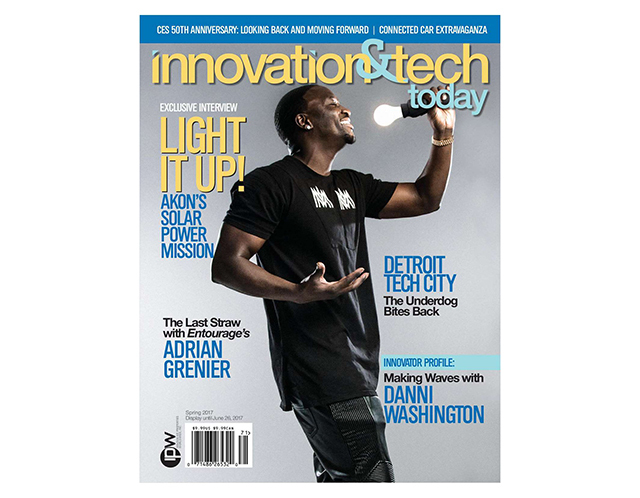 Innovation & Tech Today is an award-winning business and science title which features fascinating content, interviews, and product reviews from across a variety of sectors including: STEM, Home Automation, Wearables, Energy and Transportation, Medical Tech, Business Innovations, Gaming and Entertainment, and Sustainability. Each quarterly issue has over 160 pages, perfectly bound, with rich and enticing photography. Exclusive interviews and stories with names like, Scarlett Johansson, Kevin Hart, Akon, Dr. Michio Kaku, Bill Nye, Neil deGrasse Tyson, Mark Cuban, and more. Go behind the scenes of innovation, must have gifts, and much more. Take advantage of this limited offer and you'll receive an immediate download of one issue of Innovation & Tech Today, plus a 1-year subscription for FREE, so you can keep up on all the news in the world of Innovation & Tech. US subscribers will receive a digital issue today, a free 1-year print subscription (plus you will get the digital issues delivered to your email absolutely free), and international subscribers will receive a digital issue today and free 1-year digital subscription. The good news is you will not be asked for credit card information and will not be automatically renewed once your free subscription expires. It is the sole discretion of the publisher to determine if they will accept or deny subscriptions (unfortunately publishers do not always have a procedure to notify subscribers if they are not accepted). To take up this special offer, go here, enter the required details, and click the Download button. The offer expires on May 9, so act fast.